Located in an award-winning garden centre, our Woodford branch is very much geared towards pond owners. With one of the largest outdoor departments in the North West, we have an extensive range of pre-formed ponds, waterfalls, pond plants and pond fish. Indeed we offer everything that you could need to set up a fantastic-looking pond. In season we also have an excellent selection of water features, ranging from the traditional to the more modern. We also cater for the aquarium owner as well, with over a hundred aquariums holding hundreds of different species of fish. 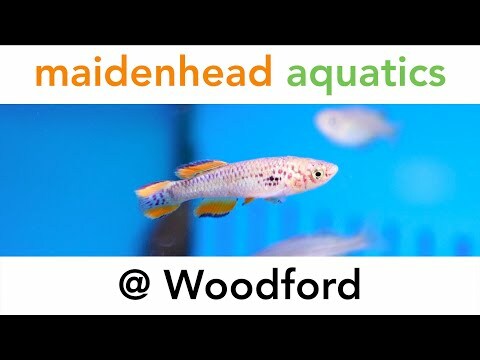 We also stock all the top brands of dry goods, so if you’re starting out with an aquarium or have been keeping fish for years, there's always something to find in store.